Considerable time and attention were taken in the design of the course at Merit Club. Founder Bert Getz Sr. wanted to ensure it was designed for golfers by those that respect the game and understood what members and guests would appreciate. The layout allows for opening holes that play away from the morning sun and finishing holes that return to the east to keep glare out of a player’s eyes. You always have a chance to run your approach shots onto the green rather than constantly having to hit over forced carries like bunkers or water. Many golfers have shot their career rounds at Merit Club, and they enjoy that they don’t see nearby fairways and holes because of generous spacing. The course is open year round, depending on weather conditions. The clubhouse is traditionally open from April 1 to November 1. A course designed with variety for golfers of all levels of play. Among the changing scenery throughout the course, Merit Club offers many advantages for members and guests- four par 3s that each play in a different direction of the compass to allow for the prevailing winds, putting greens near the first and tenth tees and between the range and clubhouse, and a chipping area that features bunkers from which golfers can hone their sand wedge technique. The practice facility at Merit Club offers more than an acre of tee space and includes teeing areas at both ends of the range, so a golfer can hit into or against the wind. A large bunker at the west end offers practice for long fairway bunker shots. Target greens are set up similarly to what you’ll see on the course, and the nine-acre practice area includes three holes (par 3, par 4 and par 4) and sand traps where you can practice your chips and flops. 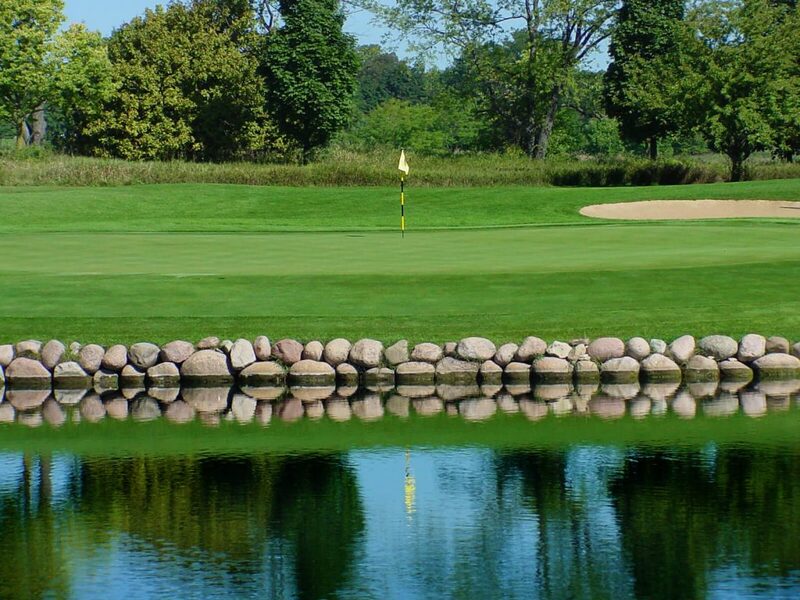 The Merit Club took special care to ensure our greens were designed to USGA specifications. Our caddie program is one of the best in the area and is known for the high-quality of our caddies. Two dozen of the Merit Club caddies have earned the prestigious Evans Scholarship, a four-year college scholarship. Based on caddie record, financial need, and outstanding academic achievement, the Merit Club is a generous and leading supporter of this unique scholarship. With over 100 feet of elevation changes from the southeast corner to the northwest corner, players are inspired by the sprawling course. 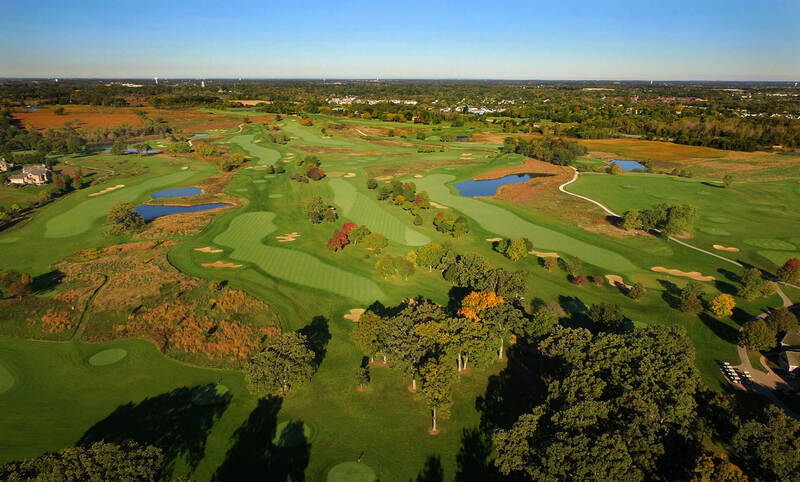 To sustain the natural beauty of the course, Merit Club doesn’t have cart paths or roads intersecting the course. The drainage systems were built specifically for handling excessive amounts of heavy rain in a short period of time, so golfers don’t lose precious time waiting for the course to dry out.